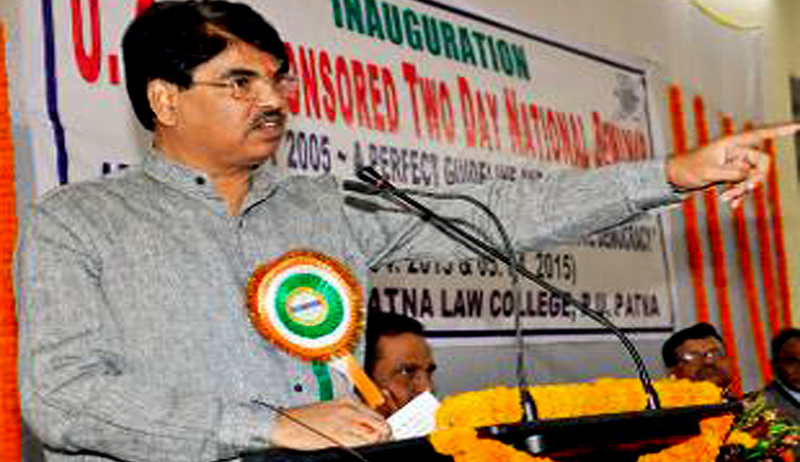 In an appalling exposure, Bar Council of India (BCI) chairman Manan Kumar Mishra has said 30 per cent of all lawyers in India are fake, holding fraudulent law degrees, degrading the quality of the profession. Mr. Mishra was addressing the crowd at the Lawyers Meet, 2015, organized by the Bar Council of India in Chennai on Saturday. The Lawyers Meet-2015 was organized by BCI to discuss public litigation policy, access to justice and environmental laws. Mr. Mishra said that the Bar Council of India, which is statutorily empowered to discipline errant lawyers and take action against them, was in the process of weeding them out. He said that in BCI’s estimation, about 20 per cent of lawyers were practicing in courts without valid law degrees. Even the Law Minister of Delhi has a fake degree himself, he said. He blamed such lawyers for the strikes and boycotts witnessed in the Courts and said, "We will filter bad and non-practicing lawyers and remove them from the rolls.” He added that BCI's Certificate and Place of Practice (Verification) Rules 2015 was one of the steps taken by it to filter fake, non-practicing and bad elements from the court campuses and bar associations. Mr. Mishra expressed concern that thousands of fake law certificates are being issued and thousands of lawyers, without proper degree, are practicing in courts and tribunals. He said the council has embarked upon the first ever certificate verification exercise, and every enrolled member's credentials and documents submitted were being verified. The two-time BCI Chairman said that the Legal Services Authority Act should be amended, so as to vest control of state legal services authorities with lawyers. If lawyers manage and administer legal services authority it will be more fruitful than now, he said, adding, "The issue was brought to Union law minister Sadananda Gowda's notice, and he has asked BCI to make rules for the purpose." He further apprised the advocates of the fact that BCI has proposed a three-tier disputes resolution mechanism which envisages committees at district-level headed by district judges, high court-level headed by senior-most judge of the high court concerned, and the Supreme Court level. Any dispute will first go to these committees. Mr. Mishra also expressed his disapproval over the trend of fresh law graduates becoming Magistrates and not being able to understand and adjudicate issues before them. "Earlier, we used to have a condition that two-three years of Bar experience is a must for writing civil judge examinations. The eligibility rule, however, was quashed by the Supreme Court. The council will now file a review plea before the apex court," he said. Supreme Court Judge Justice V. Gopala Gowda also spoke at the function. He found no reason to hand over authority to the advocates and said, legal aid scheme was working well and judges and lawyers were striving hard for its success. Former Judge of the Madras High Court Justice Chandru suggested TOI that BCI should form a Committee headed by a retired judge, as full-time practicing advocates may not find enough time to go through the records, with a mandate to verify all records.